Mustard Greens are the leaves of the Mustard plant, scientifically known as the Brassica juneca plant. These are also known as the Indian mustard, leaf mustard, Chinese mustard. They belong to the same genus as that of those plants which produce the piquant seeds, those seeds that are ground into the poplar condiment mustard. Mustard greens have a great flavor; they are often associated with a very peppery, zesty, and a very striking flavor, quite similar to that of the condiment mustard. Brassica juncea produces many cultivars. Mustard greens shares the trait of other cultivars of the Brassice juncea in terms of having very large leaves, which are quite flavorful leaves and its color may range from light green to dark. It is known as Sarson ka saag in Hindi. How to cook Mustard Greens? 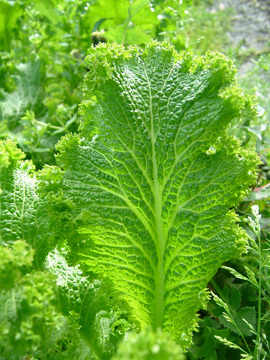 Mustard greens are very easy to grow and grow very fast. It is a self-seeding plant. This means that if the seeds are allowed to grow, they may pop up in the unexpected areas in the garden. This plant grows better in cool weather, rather than a sunny one. They grow to an average height of up to the knee in about 40 to 45 days. Once the plant starts bearing flowers, it is pointless to snap off its tops hoping that new crops of leaves will form. In fact, flowering acts as a signal to plant a yet another new batch of seeds. To plant this crop, the soil selected should be reliably cool. The soil can be prepared in early spring, and the seeds need to plant about ½ inch deep in the soil and should be at least 1 to 2 inches apart. The plant needs regular watering and proper care to grow properly into a good and healthy plant. The harvesting procedure of this plant is otherwise easy, with the exception that it requires a bit of care. The leaves should be pulled off when they are young and tender. The plants should be pulled off only when they are thinning. Or else, the leaves need to be snapped in such a way that the growing tips are left as it is so that replacements can be grown. The stems which are stringy are generally trimmed off before cooking. Light frosts generally do not affect the plant, harvesting can be continued until very heavy freezing completely wipes out the plant. Sometimes, mustard greens are used as green manures by the vegetable growers. Mustard greens acts as mulch, covering the soil to suppress the growth of weeds in it. It is fast growing manure. The base of the mustard plant is left on the soil surface, which continues to act as mulch after the plant is harvested. Sometimes the soil may lack natural organic matter. In this case, mustard provides a lot o green matter that improves soil water retention and its texture. In spite of its manifold advantage as a green manure, there is but one disadvantage of using mustard as manure. The disadvantage is its prosperity to harbor club root. There are different methods of cooking mustard greens. But the healthiest way of cooking it is the Sauté. Sautéed Mustard Greens has a great flavor and the nutrients present in it are in a concentrated form. It has concentrated nutrient retention. You must always remember to add fresh green and young mustard greens to the salad. Mustard Greens is cooked in India in a very traditional manner. Basically the people of Punjab have this as their primary dish. They cook the sarson ka saag , which is a kind of curry prepared with mustard greens only. Apart from this, they also prepare the Mustard greens is also cooked as the Mustard Greens Dal recipe. Mustard greens are used to prepare healthy and delicious salads. One of the famous types of mustard greens salad is the Salad of Mustard greens and Avacado. Mustard Greens is not only added to the salad for its nutrient benefits, but also because it enhances the beauty of the salad. It is a very spicy soup which is good for the people during the springtime and in summer. This soup can be made either with vegetables or a chicken base soup. It is a very healthy soup. The southerners are in love with greens. Mustard greens are one of the favorite vegetable for the people who live there. There are certain dishes that are cooked with mustard greens in the south. Some of them are Turnip greens, Bea’s greens and red plum Vinaigrette with mustard greens recipe. Chinese mustard greens are known as Gai Choi. There are very delicious and healthy dishes that can be cooked using it. It is a kind of mustard greens recipe. It is a traditional method of preparation of mustard greens in a southern manner. In this dish, the mustard greens require a long and slow cooking time, so that it is evenly cooked. It has a high content of salt and fat. This is a delicious dish, mustard Greens can be pickled and it can be stored for some time. It has a great flavor, which makes it good to taste for a long time. Mustard greens have high nutrient content. They are a nutritionally rich plant. The mustard greens nutritional value is immense. 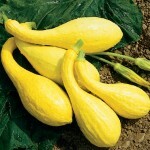 They are an excellent source of many vitamins that include Vitamin K, Vitamin A, Vitamin C and Folate. They contain many minerals such as calcium and magnesium, which are very important for life. 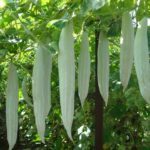 They are rich in roughage and dietary fibers, which prevents constipation. 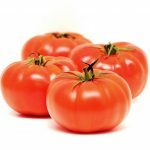 They are a rich source of Vitamin E, Vitamin B6, iron, copper, phosphorus, protein and magnesium. They also provide vitamin B1 and B3 to the body. They are a good source of vitamin A, which is an essential nutrient hat maintains healthy mucus membranes and good skin in the individuals. Mustard greens contain vitamin C, which are natural Anti-oxidants. Vitamin C protects the body against viral infections and radical injuries. If you are regularly including mustard greens in your diet, then it can prevent you from some diseases like Arthritis, osteoporosis, Anaemia and also certain cardio vascular diseases and prostrate cancers. It acts as a detoxificant. It is used for the detoxification activities in the body. Mustard Greens seeds also provide many nutritional benefits. It has a high content of nutrients. It reduces cardiac attack incidence due to the presence of alpha omega-3 and alpha omega-6. It is very good for heart and cardio vascular incidences. These seeds can treat body pain. These seeds are edible and can be directly swallowed. Mustard greens do not contain a lot of calories. 140 grams of mustard greens contains approximately 21 grams of calories. Preparing mustard greens is not a very difficult task. The mustard greens should be rinsed thoroughly and should be cut into ½ inch slices so that the cooking is even and quick. If one wants to derive maximum health benefits, then it should be allowed to sit for at least 5 minutes before cooking. 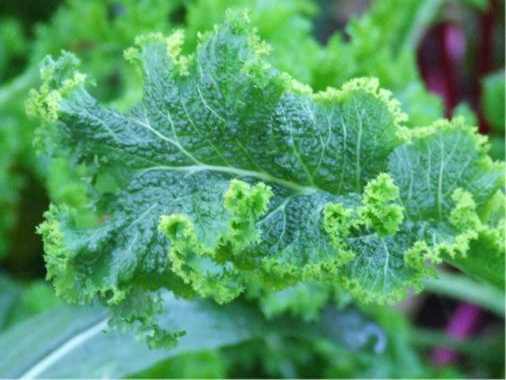 You can also sprinkle lemon juice before allowing it to sit so that the myrosinase enzymes are activated and there is an increased formation of the beneficial isothiocyanates in the mustard greens. Wild Mustard Greens are called Vrouves. This wild form of mustard greens is found in Asia and Europe. One of the best ways to store and preserve mustard greens is by freezing them. Mustard greens must be blanched before freezing them. Blanching is the process of emersion of cold water and ice, before it is allowed to freeze. Freezing is in fact a very easy method of home preservation of mustard greens. Mustard Greens are can be eaten raw since they are very healthy and are used for preparing salads. Mustard greens raw contain nutrients in the raw form, and is undestroyed. Therefore it is preferable to have it raw rather than cook mustard greens. It can be added to a sandwich or pasta, or a salad. There are a lot of methods of cooking mustard greens. But ultimately, there is a change in the shape of mustard greens while cooking it. While cutting also, you can give it a lot of shapes. You can make it flat, or curly, as per your wish. The curly shape seems to be attractive to some people. Mustard Greens are not only delicious to eat, but also a rich storehouse of essential nutrients. 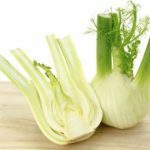 So make sure you do not miss this vegetable from your diet, and include it so that you can take advantage of its manifold benefits.